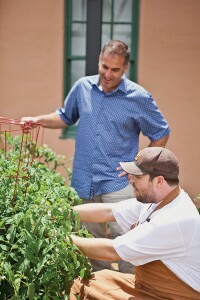 Over the years, David Spatafore and his company, Blue Bridge Hospitality, have given Coronado diners a choice of inviting establishments, ranging from such casual eateries as Village Pizzeria and Lil’ Piggy’s Bar-B-Q to the “urban, modern and reclaimed” Leroy’s Kitchen + Lounge to the sumptuous Stake Chophouse & Bar. Now his two decades of culinary acumen coupled with business savvy have led Spatafore to cross over that blue bridge to the San Diego side to open Liberty Public Market. Two years in the making, the city’s first food hall opened in March at Liberty Station, the former Naval Training Center San Diego, and was an instant hit. 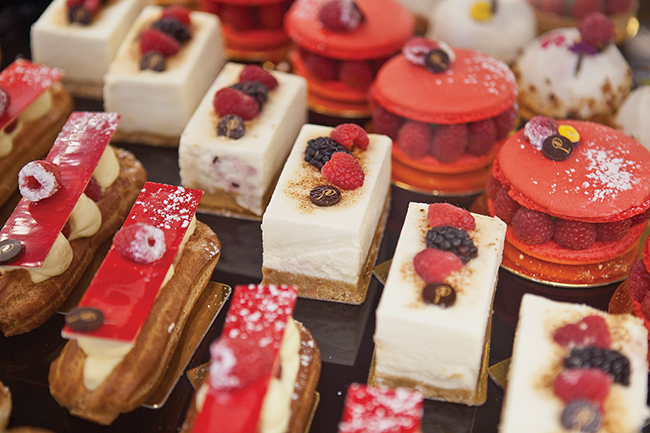 For the uninitiated, food halls are largely indoor market spaces with a collection of vendors — mostly local artisans — selling prepared foods and grocery items all under one roof. 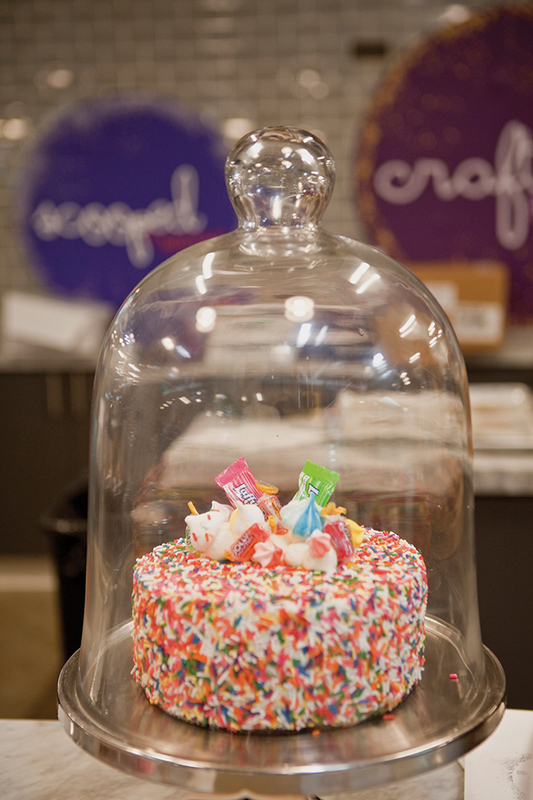 Among Liberty Public Market’s 25 artisans are Mastiff Sausage Company (specializing in all-natural, hormone-free meat), Cane Patch Kitchen (authentic Southern cuisine), Stuffed! (grass-fed burgers stuffed with cheeses), Wicked Maine Lobster, Liberty Meat Shop and FishBone Kitchen, specializing in fresh sustainable fish. Spatafore added his own brands to the mix: Scoop (featuring Mootime Creamery ice cream), Grape Smuggler wine bar (under the direction of Blue Bridge Hospitality’s beverage director Greg Majors) and Crafted Baked Goods, conceived by Blue Bridge’s executive pastry chef Francis Laureano. Plus Spatafore opened a full-service restaurant, Mess Hall, so-named because it sits exactly where the former Navy Training Center’s mess hall once served sailors. In creating Mess Hall’s menus, Blue Bridge’s executive chef Tim Kolanko (chef de cuisine at A.R. 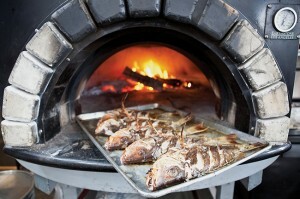 Valentien at the Lodge at Torrey Pines for 10 years before joining Blue Bridge Hospitality) and chef de cuisine Colin Murray (formerly with Brooklyn Girl) draw upon the fresh offerings of all the market artisans and work with local farmers in creating farm-to-table dishes. The market is a collaboration of the Corky McMillin Companies, developer of Liberty Station, and Spatafore’s company. Name a city and Spatafore has been to its public market, including Chelsea Market in New York, and Mario Batali’s new Eataly, his second, in Chicago, and the Ferry Building Marketplace in San Francisco. “I’ve found that the most interesting food halls are housed in historic buildings,” Spatafore observed. His creative juices took hold and within two weeks time Spatafore came back to the McMillin Company with a sketch and a vision for the food hall in the 25,000-square-foot historic space. But the nearby community is equally important to the market’s success, Spatafore added. That was the year when Spatafore opened Mootime Creamery on Orange Avenue. A 1989 graduate of Coronado High School, Spatafore obtained a bachelor’s degree in business administration from Cal State University Sonoma in 1993, then went to work as a national sales representative for Schreiber Foods, one of the largest dairy companies in the world. His cross-country travels, while grueling, exposed him to some novel food and restaurant operations. 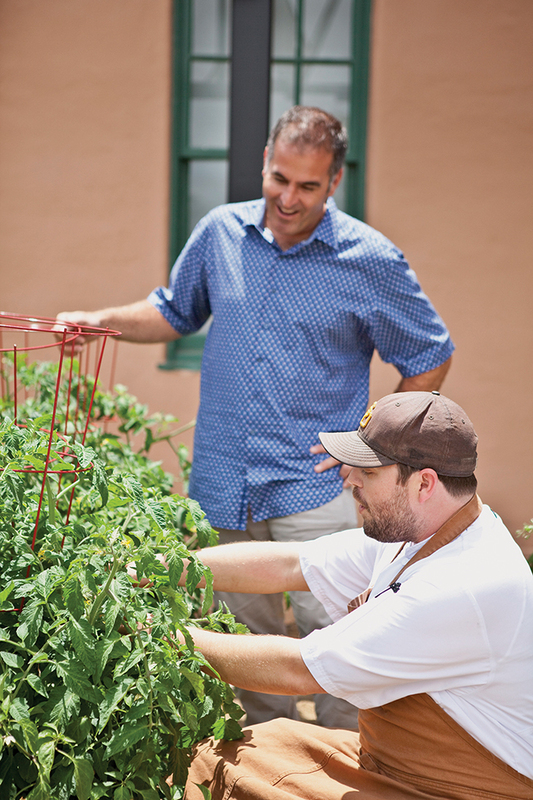 He credits his work with Schreiber and his restaurant customers over the years with teaching him that quality ingredients are essential to the success of every food operation. He has maintained that penchant for quality — which often translates to locally sourced — in all his enterprises. Married to his high school sweetheart, Jenny, and a father of three, Spatafore is happily entrenched in family life where he’s an active supporter of schools, sports and Coronado community charities. He laughs when he looks back to his high school years and remembers his first job as a “Dish Dog” at the former Chart House restaurant on Glorietta Bay. That’s good news for Coronado and nirvana for foodies near and far who make their way over to Liberty Public Market. 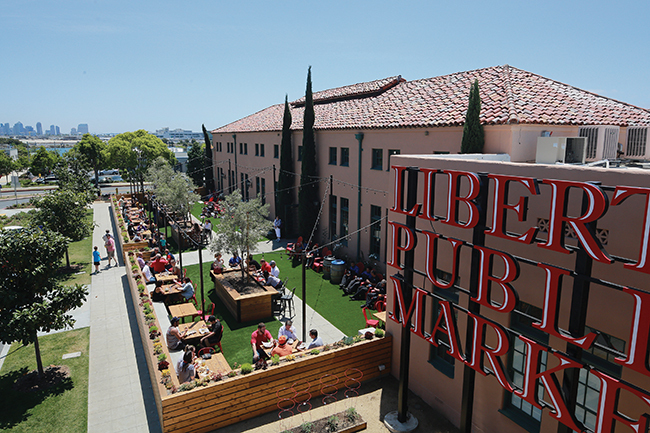 Liberty Public Market is 9.5 miles from Coronado; Take I-5 north to Pacific Highway; merge left onto Barnett, turn left at Truxton (into Liberty Station), and left onto Sims Road. You’ll see the market in front of you at 2820 Historic Decatur Road. Free parking; free WiFi. All vendors are open from 11 a.m.-7 p.m.; some open earlier and some are open later as well. 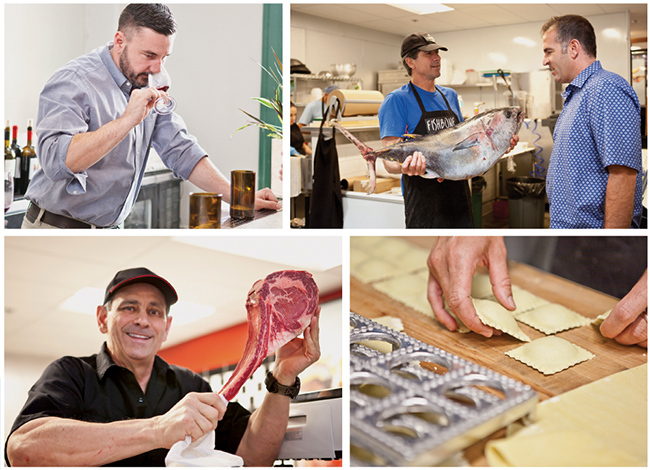 Clockwise from top left: Greg Majors, beverage director, Blue Bridge Hospitality; Fishmonger Dan Nattrass of FishBone Kitchen shows David Spatafore a recent catch; handmade ravioli at Pasta Design; Tommy Battaglia,owner, Liberty Meat Shop shows off his chops.